We are glad to inform you that the second Theologian, which the Holy see had appointed to review the Writings of the Servant of God, Luisa Piccarreta, has completed his task and given his approval. On October 29, 2005 His Excellency, Bishop Giovanni Battista Pichierri, completing the diocesan inquiry ('Inchiesta diocesana') on the fame of holiness of the Servant of God, Luisa Piccarreta, with the collection of testimonies and documents, referred the final decision on her sanctity to the Holy Father. Then the lawyer, Dr. Silvia Monica Correale, was appointed as the Postulator of the Cause to the Holy See by the Archdiocese of Trani. She is responsible for several other causes of beatification and canonization, including Vietnamese Cardinal Francois-Xavier Nguyen Van Thuan. In relation to the cause of Cardinal Van Thuan, this is the first time the Holy See, through one of the Vatican dicasteries, has confided a cause of beatification to a woman. In a letter of 2008, the Archbishop of Trani, reported, "that the Congregation for the Cause of Saints, hoping to issue the decree on the legal validity of the Diocesan Investigation ('Inchistesa diocesana'), had submitted for consideration by the Theological Censors the writings of the Servant of God in accordance with Canonical norms and existing practice." Press n.2 (Prot.n.098/08/c3) on the process of beatification and canonization of the Servant of God Luisa Piccarreta. Trani, May 30, 2008. Solemnity of the Sacred Heart of Jesus. Bishop Giovanni Battista Pichierri, Archbishop of Trani, Barletta, Bisceglie e titolare di Nazareth. The Holy Congregation for Saints assigned this work to two Theological Censors. After almost three years, today, they have successfully completed this activity, and we have received a positive concept from both theological experts. Before 1927, some(1) of the writings of Luisa had already received a "Nihil Obstat" (Nothing contrary to the Doctrine of the Faith) by St. Hannibal Mary Di Francia (Censor for the Archdiocese) as well as the imprimatur of Archbishop Giuseppe M. Bishop Leo. In addition to this previous study, the Congregation of Saints, according to the norms and practices, states that all the writings of a Servant of God must be subject to review by at least two theological censors (whose names must remain secret), before formally starting the process at the Holy See. Since the diocesan process had not yet completed this task, the Congregation ordered to first complete this requirement in order to be able to issue the decree on the legal validity of the diocesan investigation and initiate the Roman Process. The theological censors appointed by the Church, must examine the writings and verify that there is nothing in them contrary to faith and morals. They should also describe in their opinion the personality and spirituality of the Servant of God (2). (1) The Hours of the Passion, the Virgin Mary in the Kingdom of the Divine Will, and volume 1 to volume 19. (2) Sanctorum Mater - Instruction for conducting diocesan or eparchial inquiries in the Causes of Saints. Having met all the prerequisites positively, we trust God that the next step is the issuance of the decree to enter the Cause at the Holy See. The introduction of the Cause for Beatification and Canonization of Luisa Piccarreta to the Congregation for the Causes of Saints, means that the Church, taking particular account of this case, after having made a careful study of all the documents, opens a canonical process to further study her life, virtues and miracles. All this is done bearing in mind the affirmation by the Church of the sanctity of a Servant of God, and thus placing the final seal of authenticity on her universal message for the Church. This is a very joyful moment for those of us, who base our spiritual formation on the doctrine of the Divine Will in fidelity to the Magisterium of the Church. The purpose of this review is also to recognize the purity of the doctrine on the Divine Will in the writings of Luisa, which had been questioned by some who failed to recognize the opinion already given by Saint Hannibal Mary Di Francia, who was the first censor of these writings when Luisa was still alive. Let us thank God and continue to pray for the glorification of the Servant of God Luisa Picarreta. "Causa di Beatificazione Serva di Dio Luisa Piccarreta"
70033 - Corato (BA), Italy. The doctrine on my Will is the purest, the most beautiful, and not subject to any shadow of the material or of interest, both in the supernatural and in the natural order. Therefore, like sun, it will be the most penetrating, the most fecund, and the most welcomed and appreciated. In addition, being light, of its own it will make itself understood and will make its way. It will not be subject to doubts or suspicions of error; and if some word is not understood, it will be because of too much light, which eclipsing the human intellect, will not allow them to comprehend the whole fullness of the truth. However, they will find not a word, which is not truth. At the most, they will not be able to comprehend it fully. Therefore, in view of the good, which I see, I push you to neglect nothing in writing. One saying, one effect, one simile about my Will can be like beneficial dew upon souls, just as dew is beneficial on the plants after a day of burning sun, or like a pouring rain after long months of drought. You cannot understand all the good, the light, the strength contained in each word; but your Jesus knows it, and knows the ones whom it must serve and the good it must do. Now, as He was saying this, He showed me a table in the middle of the Church, and all the writings about the Divine Will placed upon it. Many venerable people surrounded that table and became transformed into light and divinized; and as they walked, they communicated that light to whomever they encountered. Then Jesus added: "You will see this great good from Heaven, when the Church will receive this celestial food, which will strengthen Her and make Her rise again in Her full triumph." A monument to the apostle of prayer for priestly vocations and apostle of the Kingdom of the Divine Will, has been placed in the center of Catholicism: the Saint Peter Basilica at the Vatican. Next Wednesday, July 7, Holy Father Benedict XVI will bless the statue right before his usual Wednesday audience. Past Thursday, June 24, 2010, in the morning hours, the enormous statue of Saint Hannibal Di Francia was placed in its niche at Plaza of Roman Protomartyrs, at the Arch of the Bells of the Saint Peter Basilica at the Vatican. The statue, carved in Carrara marble, weights nearly 10 tons and is 5.3 meters high. Some of the Daughters of the Divine Zeal and some Fathers of the Rogationists, including the Postulator General were present during this event. 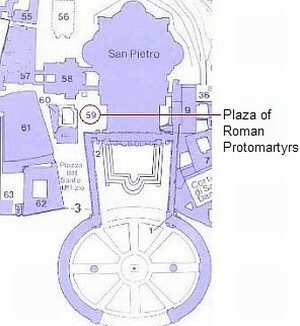 Monuments of the main holy founders of religious institutions surround the Plaza of Roman Protomartyrs. The request to place a monument of St. Hannibal outside the St. Peter Basilica was made to the Holy See for religious congregations founded by St. Father Di Francia, as a tribute to its founder in an effort to spread his holiness and charisma, especially after his canonization. It will be the cause of great joy when on Wednesday July 7 the Holy Father will bless the statue of St. Hannibal Di Francia. 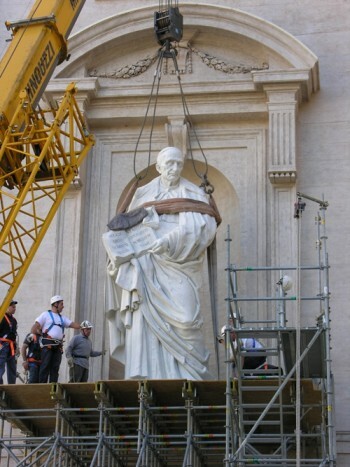 The Holy Father, Benedict XVI, will bless the statue on Wednesday, July 7, 2010, before his general audience. The monument is truly a great gift and a tribute of the Church to the charismatic figure of Saint Hannibal, known throughout the world as a worthy apostle of prayer for vocations as well as great apostle of the Kingdom of the Divine Will. Six years after his canonization, his impressive image is located in the heart of Christianity. Father Hannibal has always nurtured and expressed feelings of deep love and obedience to the Vicar of Christ, which he has passed on to his spiritual children as a sign of unconditional loyalty. He constantly pointed at the 'Rogate', as the infallible and vital remedy for the life of the Church. Therefore, the marble statue at the Saint Peter Basilica also becomes a demonstration of his devotion to the Pope. Master Giuseppe Ducrot sculpted this work from a single block of Carrara marble. The statue of Father Hannibal is holding the book of the Gospels opened in the Rogate passage, "The harvest indeed is abundant, but the laborers are few. Pray (Rogate) therefore the Lord of the harvest to send forth laborers into his harvest)." (Mt 9, 38: Lk 10, 2). » Saint Hannibal at the Vatican. Who reviewed and gave Nulla Obstat to the Writings of the Servant of God Luisa Piccarreta, inspires and guides those who now read her writings. 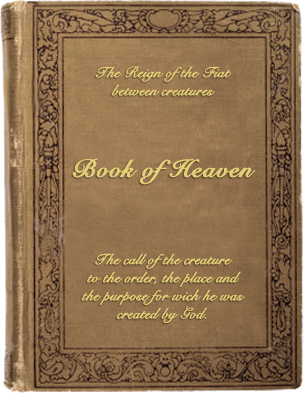 Who published and disseminated these writings helps in this sacred task all those whom God inspires the timely publication of them. Who overflowed with the divine light of the doctrine of the Divine Will intercedes for us so that we, by constantly dying to our will, can continually live in the Divine Will. We entrust ourselves to St. Hannibal Maria Di Francia to obtain for us the spiritual graces needed to know, understand and fully live in the Kingdom of the Divine Will. Let pray also for the General Chapter of the Rogationist Fathers whose realization occurs on the same date. The relationship between Saint Hannibal Di Francia and the Servant of God Luisa Piccarreta is well known. Besides being her extraordinary confessor in 1926, Father Hannibal was commissioned directly by the Archbishop Mgr Giuseppe M. Leo through regular order, as the Ecclesiastical Censor for the publications of the three dioceses Trani, Barletta and Bisceglie; particularly, the review of all the writings that Luisa had written up to that date. Fr. Di Francia began publishing them after having obtained the Imprimatur of the Archbishop. In a letter to Luisa, Father Hannibal recalled her that the archbishop had given him, "jurisdiction over you, your writings, and the publication of them, i.e. to handle and dispose of the said publication, as I see fit" (his own words). Fr. Hannibal enjoys unlimited confidence by Archbishop Leo, as evidenced by extensive documentation. 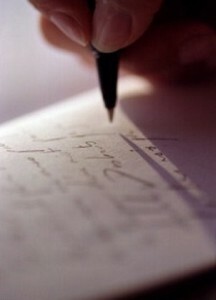 » Letters of St. Hannibal to the Servant of God Luisa Piccarreta. » Transferring the urn of Fr. Hannibal Di Francia. » Drawings of St Hannibal. » The face of St Hannibal. » Moments that have made the story of a saint. » Placement of the statue outside the Basilica. 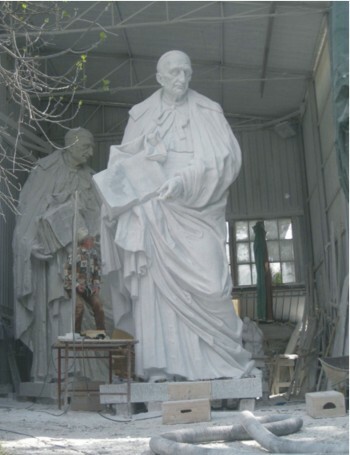 » Construction of the marble statue (18 January 2010). Fr. Sergio Pellegrini (Italy); Fr. Peter Meo (New Zealand), Fr. Jhon Piumatti (Colombia); Fr. Thomas D. Kirk (USA); Fr. Robert Young, OFM (USA); Fr. Jim Shelton (USA); Fr. Luis Pedro Rubio de Silva (Mexico); Fr. Marco Cannavo (Italy); Fr. Pablo Martín Sanguiao (Spain); Fr. Carlos Massieu Avila (Mexico); Fr. Robert Cadrecha (USA); Fr. Brian Ahearn (Australia); H.E. Msgr. Giovan Battista Pichierri, Achbishop of Trani-Bisceglie-Barletta-Nazaret (Italy); Fr. Paul Casullo (Canada); Fr. Julio B. Rivero (USA); Fr. Emil Milat (Australia); Fr. Christopher Igboanua (Nigeria); Fr. Paul Fox (Australia); Fr. Piomaria Ciampi (Italy); Fr. Damien Thompson, OCSO (USA); Fr. Jhon Kirk (USA); Fr. José Pablo de Jesús Tamayo Rodríguez (Costa Rica); Fr. Dave Leon (USA). Standing, Sister Asunta Marigliano (Italy); Fr. Vincent Clemente (Italy); Fr. Alfred Cioffi (Cuba); Fr. Mario Fernández, OCD (India); Fr. Joe Scerbo, SA (USA); Fr. 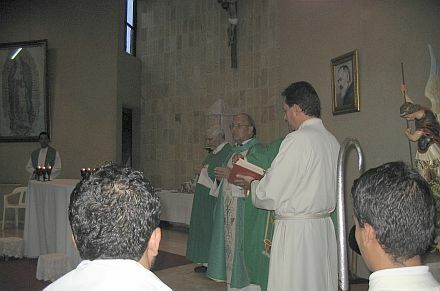 Edgar Arturo de Jesús Rivera Mora (Costa Rica); Fr. Jerry Chrzczonowicz (Poland); Fr. Rommel Padilla Emery (Nicaragua); Fr. Xavier, P. Colin J. Xavier (India); Fr. Roman Palma (Poland); Fr. Michael T. Watae (Papua, New Guinea). As you may know, by the grace of God I traveled to Rome for the conclusion of the Year for Priests, consecrated by Pope Benedict XVI. I attended the International Meeting for Priests in Rome and the Closing Mass of this Year for Priests presided by the Holy Father. Although the newspapers said that 17,000 priests attended, I assure you that all the priests of the world were there in spirit. The atmosphere lived was truly supernatural. All the news are determined to assure that the Holy Father Benedict XVI gathered us all to ask for forgiveness for the sins of some priests; it is clearly that the anger of the enemy doesn't want the truth to be known: in fact, about 17,000 priests were gathered from all over the world not only to give our support to the Pope, but to bear witness of our faith, of our Holy Religion, to bear witness that Jesus is alive, carrying his Cross, walking to Calvary, multiplied in every priest, to continue giving his life to save many people, all those who want to be saved and all those who let Jesus to save them. The enemy cannot stand for this. Really it was impressed to be surrounded by so many priests. My permanent feeling was that of being surrounded by thousands of saints. I can't tell you all the special encounters I had, but I want to share with you one of them which ended leaving me stump. It was when I met three or four priests and I asked them where they came from, they answered: from Pakistan. I almost fell backwards... I thought: I'm standing in front of some living martyrs that at any time could also become martyrs of blood!. I thought about this because of the tremendous persecution that the Church in Pakistan in now suffering. Moreover I was able to realize, as far as God allowed me, the dedication and commitment as well as the sacrifice of each one of these priests. We have given our lives to God, letting God to serve himself of us in the way he pleases, for his greater glory, for the salvation of the entire world, for the extension of His Kingdom on earth. The next day after the Closing Mass, I gathered with a group of 35 priests from 15 different countries in Corato, place where the Servant of God Luisa Piccarreta was born, lived and died; the Archbishop of the place, Msgr. Giovan Battista Pichierri, was also with us participating in a four days retreat-meeting, all about the Divine Will. This meeting is the first one held in Corato, and in fact it was the first time that so many priests gathered together in Corato in order to learn more and better about the Divine Will. The Archbishop welcomed us very pleased; he gave us the news that one of the two theologians named by the Congregation for the Causes of Saints has already given his positive opinion about the writings of Luisa. Mons. Pichierri also said that the answer of the second theologian will arrive soon. The meeting was also very stimulating because we could see how this Kingdom of the Divine Will is spreading all over the world. One of these priests told me that after our meeting he was traveling to Belgium, where there is a group of 400 people interested in learning about the Divine Will. Those groups are formed by people living in some regions of Belgium where the Catholics are minority. So now I ask you not to cease praying for these priests and for all the priests of the world; for us to commit ourselves every day more and more to die to our human will and to live always and only from the Divine Will. » See some pictures of the Meeting for Priest in Rome and Corato. Fr. Julio Rivero, TOR; Fr. Robert Young, OFM; Fr. Paul Guthrie, OFM; Fr. Dave Leon; Bishop Pearse Lacey; Fr. Paul Casullo; Fr. Larry Shinnick; Fr. Pedro Rubio, HDV; Fr. Ed Fisher; Fr. Augustine Davis, OSB; y Fr. Vincent Clemente. Asistieron también al encuentro, pero no pudieron estar en la fotografía: Msgr. J. Anthony Luminais, Mr. Walter Zimmerman, Deacon Paul Kluener y Brother David. 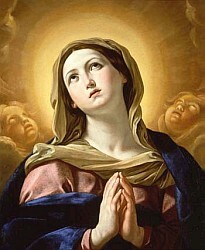 August 15, 2009.- We want to introduce this new website www.horasdelapasion.org, born on this special day of the Assumption of the Blessed Virgin Mary into Heaven to whom we entrust it with the utmost confidence. 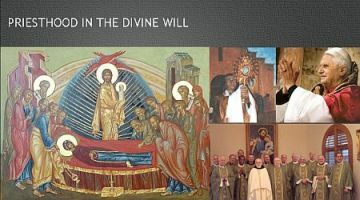 In recent years several priests, both diocesan and religious and of different nationalities and movements of the Divine Will, have been meeting to share about the doctrine of the Divine Will, about their experiences, and creating unity among them and the members of their groups. During the last meeting held at the Sanctuary of the Blessed Sacrament in Hanceville, Alabama, in January 2009, decided to pray together with The Hours of the Passion of Our Lord Jesus Christ, and to form a Living Clock among them. They also proposed to encourage the members of their groups to pray, using particularly The Hours of the Passion, for the triumph of the Kingdom of Divine Will and the unity of the various associations and movements that have been emerging around the Divine Will, as given in the writings of the Servant of God Luisa Piccarreta. We continue working on that, for the new site of the Hours of the Passion will be also available in other languages, as soon as possible; firstable in Italian and English, and, God willing, also in French, Portuguese and German (if you want to help as a volunteer translator, please write to: correohdv@divvol.org). Let us pray together in order that the goals that God has inspired this group of priests, give abundant fruit for the greater glory of God through the intercession of Our Blessed Mother. » Visit this site of The Hours of the Passion of Our Lord Jesus Christ. Let us join our Blessed Mother Mary for a tribute of love, appreciation and thanks to he who is living Love. "During my birth my Divine Mama made me a beautiful surprise with her acts, with her love - with the Life of my Will which she possessed. She formed my Paradise on earth. She did nothing other than braid the whole Creation with her love, laying seas of beauty - making me enjoy our divine beauties within which her beauty was shining. How beautiful my Mother was - how beautiful to find her in the whole of Creation; she made me enjoy her beauty and the beauty of her acts. She spread her sea of love to make me find her love - my Paradise of love - in all created things. I delighted and exulted in my Mama’s seas of love. She made for me, in my Will, the most beautiful tunes and the most delightful concerts, so that her little Jesus would not miss the music of the Heavenly Fatherland. My Mother took care of everything, so that nothing would be lacking of the enjoyment of the Paradise I had left. She kept forming, in each one of her acts, new joys to make me happy. By just leaning on her Heart I could feel such harmonies and contents as to be enraptured." (Volume 36. December 25, 1938. Writings of Servant of God Luisa Luisa Piccarreta). December 8, 2009.- In the Feast of the Immaculate Conception we wish you and all of those who are with you in the Divine Will that our Blessed Mother may enclose the Divine Will in our soul, that It may take Its first place, and form in it Its throne and Its dwelling. English and Italian sections for the Website of the Hours of the Passion have been published. Let us dedicate to Our Immaculate Queen the Web Page of the Hours of the Passion of Our Lord Jesus Christ in the English and Italian versions, which have been published on this date. Let us remember that this Website www.horasdelapasion.org was inaugurated in the feast of Asunción of Virgin Mary, this same year, and arose by the initiative of several priests, both diocesan and religious and of different nationalities and movements of the Divine Will who have met to share about the doctrine of the Divine Will in several occasions. August 15, 2009.- Full of feelings of joy and hope we have received the announcement of the creation of a new website dedicated to the Priests in the Divine Will: www.priestinthedivinewill.org. Almost at the same time that the website of the Hours of the Passion (www.horasdelapasion.org) was published, we received the news of the publication of these new space on the internet. 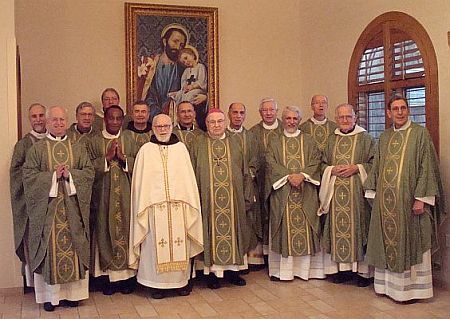 This new space for priests, was also born by the initiative of one of the priests of the Group of Alabama (a group of priests who participated last January in the retreat- meeting in Huntsville, Alabama-USA). We also entrust to the Blessed Virgin Mary this site, that will be available only in English for the moment. » Visit the site of Priests in the Divine Will. Names of the priests from left to right: Fr. Alfred Cioffi; Fr Carlos Massieu; Fr. Richard Cortese; Fr. John Brown; Fr. Julio Rivero, TOR; Fr. Robert Young, OFM; Fr. Paul Guthrie, OFM; Fr. Dave Leon; Bishop Pearse Lacey; Fr. Paul Casullo; Fr. Larry Shinnick; Fr. Pedro Rubio, HDV; Fr. Ed Fisher; Fr. Augustine Davis, OSB; and Fr. Vincent Clemente. Also attended the meeting, but could not be in the picture: Msgr. J. Anthony Luminais, Mr. Walter Zimmerman, Deacon Paul Kluener and Brother David. 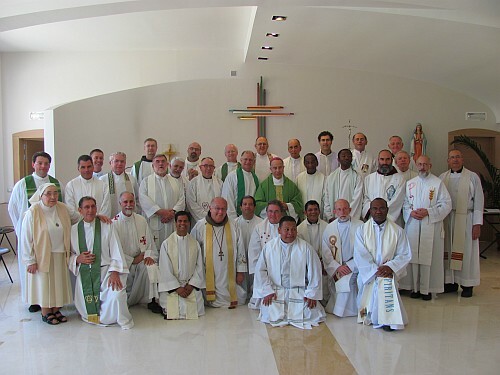 February 1st, 2009.- With immense joy, we want to share with you the pictures of the gathering and retreat that we had with English speaking priests. The gathering took place from January 26 to January 30, in a retreat house for priests in the Sanctuary of the Blessed Sacrament, located in Our Lady of the Angels Monastery in Huntsville, Alabama. This monastery was founded by the Reverent Mother Angelica, who is also the founder of EWTN – the famous Catholic TV channel; because of her illness, she is now retired yet continues to live there. We pray for her in order that the Divine Will continues to strengthen her in this illness. The gathering took place in an environment of prayer, recollection, fraternity, and a great spirit of unity. I cannot express in words the amazing joy that we all lived during those days. It was like being in heaven, each one sharing their knowledge and experience on the Kingdom of the Divine Will. 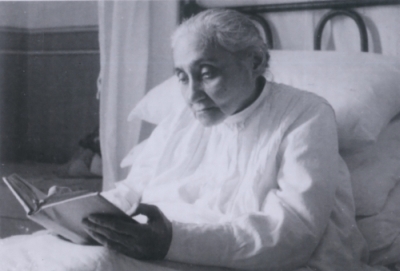 Those days were enlightened in an extraordinary manner by the writings of the Servant of God Luisa Picarreta. In this environment of unity, we agreed on forming a Living Clock; that is to say, that each of the priests promised to pray a daily Hour of the book “The Hours of the Passion of our Lord Jesus Christ”, written by Luisa Picarreta and published for the first time by Saint Hannibal di Francia in 1917. Of course, needing 24 people to complete the Living Clock, besides the priests present in the retreat, some of the religious sisters of Our Lady of the Angels Monastery joined us in this prayer. I ask all of you in the name of all these priests and many others in the world, to pray for us so that the Kingdom of God will be totally manifested in each one of us. » See the photo album. January 13, 2009.- Today begins the Apostolic Ministry visit to Canada. Vancouver, BC: January 13 to January 28. Ottawa, ON: January 29 to February 2. Port Elgin, ON: February 3 to February 5. Vancouver, BC: February 6 to 9 (Retreat of Silence). » Contact information in Canada. Christmas message from Fr. Pedro Rubio hdv. » Read the Christmas message 2008. Hijos de la Divina Voluntad: A historical encounter with the Lord! Medellín, August 31, 2007.- At Holy Mass presided by His Excellency Monsignor Alberto Giraldo Jaramillo, Archbishop of Medellin, during his visit to the Community of this city, he expressed, "This Holy Mass is a historical event in the life of every one of us. This encounter with the Lord should leave a mark in our lives as a moment of grace." (These were his words at the beginning of Holy Mass). Our monthly Spiritual Retreat for the month of August that was attended by more than one hundred people was directed by Fr. Pedro Rubio Hdv and concluded with the celebration of Holy Mass. In the meantime, we pray for a fruitful spiritual retreat in strict silence, which Fr. Pedro is holding from September 1-3 with the internal members of the Community in Medellin, after having completed a similar type of retreat with the internal members of the Community in Barranquilla, a few weeks ago. Let us pray and give thanks to God!. » Read more on this news. Monsignor Victor Tamayo, Auxiliary Bishop for the Archdiocese of Barranquilla, celebrates the Solemnity of the Assumption of the Most Blessed Virgin Mary (Feast the of the Divine Will) with the Sons of the Divine Will of Barranquilla. Barranquilla, August 15, 2007. As in the past years the members of the Community of Barranquilla get together on the above mentioned Solemnity at the Plantation known as “El Callao” to celebrate Holy Mass and to spend the day together in fraternal happiness. This year, we enjoyed the presence of Monsignor Victor Tamayo, Auxiliary Bishop for the Archdiocese of Barranquilla, who presided the Holy Mass along with Fr. Jose Antonio Valle, Parish Priest at the Vicinity of Salgar, and Fr. Pedro Rubio HDV, General Coordinator for the Community. Several children and youngsters from the Foundation “Futuros Valores” (one of the Community’s Apostolate) received their First Holy Communion and Confirmation. Also present were some of the internal members of the Community, all the kids and youngsters from the Foundation “Futuros Valores”, the directors and workers for several of our apostolate works as well as some of the external members of the Community. It was a day of many blessings and we are thankful to God. * To download click the right bottom of the mouse and select "Save target as…"
Pastoral Visit of the Auxiliary Bishop of Barranquilla, H.E. Monsignor Victor Tamayo to the House of the Community in Barranquilla. Barranquilla, July 27, 2007. Last Friday July 27, during the pastoral visit that Monsignor Victor Tamayo did to the Parish “Our Lady of the Graces of Torcoroma” the Auxiliary Bishop for the Archdiocese of Barranquilla kindly granted an audience to the members of the Community Son of the Divine Will. During the meeting, attended by close to one hundred people, Fr. Pedro Rubio hdv, Coordinator for the Community, informed Monsignor Tamayo of the several activities carried out by the Community within the mission of the local Parrish. Monsignor Tamayo was very pleased and in the name of the Church, exhorted all members and volunteers to continue with their mission. Most of all, he extolled the Community members for their firm commitment to a life of continuous spiritual formation and daily prayer (minimum 15 minutes a day) with the intention of praying constantly. Monsignor Tamayo also reminded us of the Servant of God John Paul II, who constantly invited the faithful to, “do the will of God joyfully.” Then, he encouraged the Community to make the Holy Father’s words their own, and to spread their enthusiasm to the rest of the Church so that they will allow themselves to be welcomed by the Merciful Heart of Jesus. Archbishop Giovan Battista Pichierri talks about Luisa Piccarreta's writtings.